Fitness Deal News is the 'hotels.com of the supplement industry'. Get the latest A1Supplements.com deals and promo codes for 2017 and save on nutritional supplements with discounts up to 70%! Check out our selected A1Supplements.com coupons & deals below. Half price. Buy one Lecheek Nutrition Amino Go (30 serv) & Get one free for $19.95 at A1Supplements. 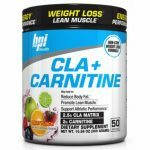 Shipping is $5.99 but FREE over $99 with A1Supplement coupon ‘FREE99‘. Available in 3 flavors (Mix & Match). 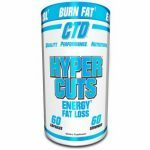 Buy 1 CTD Sports Hypercuts – 60 caps, Get 1 FREE for $42.95 at A1Supplements. Flat shipping $5.95. Even with that, this is the best total price we could find by at least $8. A1supplements coupon – Use coupon code FREE99 for free shipping over $99.